When the time comes to choose the best in-home health care in West Palm Beach for a loved one, the choices are determined by unique circumstances which vary from one family to the next. In-home health care is the right choice for those searching for skilled services from professional home health aides, nurses, companions, homemakers and therapists. As the name implies, in-home health care covers a wide range of services provided right in the home, instead of a health care facility, hospital or hospice. The main benefit of this type of arrangement is that it brings the service into the home of the individual, allowing them to still stay in their own comfortable and familiar home, even as they receive quality care from trained professionals. Elite Senior Home Care offers skilled nursing services, which are those types of services and care that may only be safely performed by a licensed nurse. These include changing catheters, patient assessment, injections and wound care. Personal care services include bathing, dressing, using the bathroom and other services. 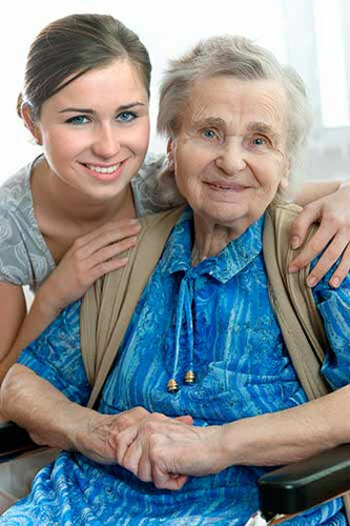 Rest assured with the skilled therapy services offered by Elite Senior Home Care. These are those speech, physical and occupational therapy services that may only be performed by a licensed therapist. Examples include exercises to regain or strengthen speech and language skills, gait training and supervision and occupational therapy to help regain impaired ability to carry out usual daily activities. Our companion services include help with recreational or social activities, while homemaker services encompass housekeeping, meal preparation and shopping. Medicare Part A or Medicare Part B covers a range of eligible home health services for those who qualify. Medicare does not cover homemaker services or personal care, but will cover physical therapy, part-time skilled nursing care, speech-language pathology service, physical therapy and more. The primary care physician of the individual must certify that they need any of the services covered by Medicare. Home health care agencies, such as Elite Senior Home Care, often coordinate all of these skilled care services, based on the instructions of a physician. At Elite Senior Home Care, we handle the difficulties and challenges, while you remain safe and comfortable in your familiar home environment. If you are looking for quality in-home care, and safety, comfort and trust are at the very top of your priorities, then Elite Senior Home Care is your best bet. Our highly trained, screened and credentialed healthcare professionals are available to handle the needs of your loved ones.